Take this result as one for the process. 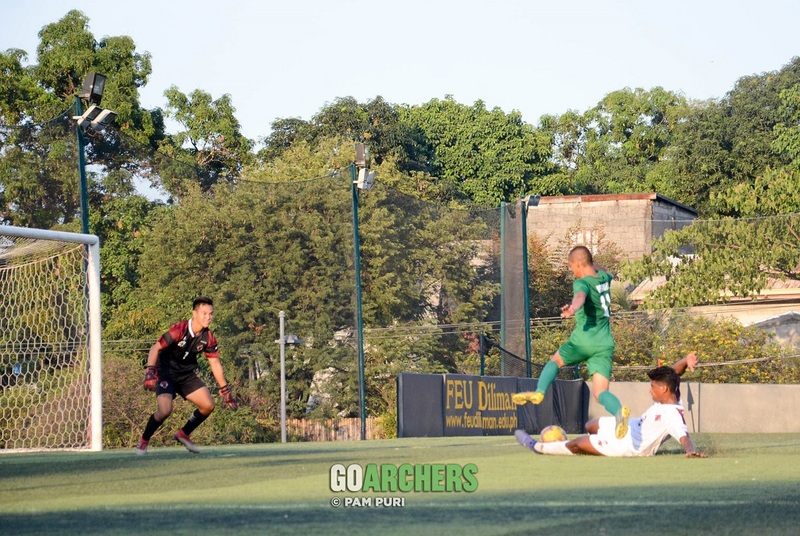 With a first round win over the University of the Philippines Fighting Maroons under their belt, the De La Salle University Men’s Football Team succumbed to a payback from the defending champions with a 0-2 loss, Sunday afternoon, at FEU-Diliman. La Salle conceded the first at the 8th minute. The defense failed to mark Karl Bugayong who headed the ball past goalie Gab Villacin from the corner at the 8th minute. Yoshi Koizumi and Mikio Umilin had sniffs at the Fighting Maroons’ box, but luck was just not on La Salle’s side. The game was then out of La Salle’s reach early in the second half when UP skipper Kintaro Miyagi doubled his side’s lead. It was a painful loss for the Green & White, but the path towards the Final Four is still in their hands. La Salle still has 13 points in the table and its next game will be against an Ateneo de Manila University side that is out for revenge on April 4, 2019, 3:30 PM.